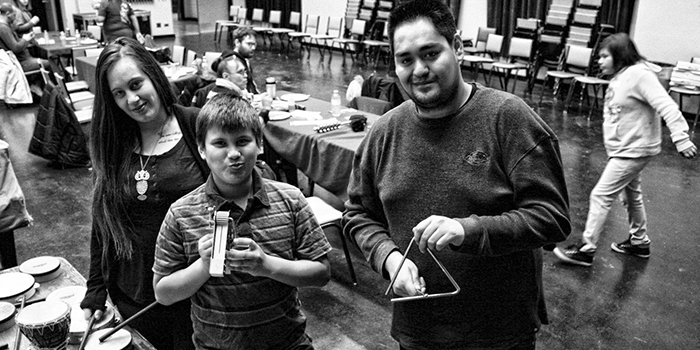 Through co-creating ideas alongside the local community, The Winnipeg Boldness Project has been developing and testing out prototypes since early 2015. These prototypes demonstrate proof of the possibilities for real change that exist in our neighbourhood, and when scaled, could lead to a dramatic shift in the way our systems work with and support families and children. Every child will have the opportunity to access education after high school. We set out to understand how children and families come to believe that educational success is possible. Saving for education after high school is a main part of that process, and the Canada Learning Bond (CLB) is a promising program that can help kickstart a family’s savings by providing a grant of up to $2000 for their child’s education. Working under the guidance of the community we focused on five activities to support families in signing up for the CLB. Supported Enrollment: Building capacity in the community to promote the CLB and support families through the process. Identification: Making identification easy to get for families. Accessible Banking: Working with financial institutions to better meet the needs of families for both banking and CLB enrollment. Post-Enrollment: Collaborating across the community to help children and families see education after high school as a real possibility. Children in Care: Working to support agencies in signing up children in care. The Child-Centred Model – a way of working for positive change developed by the community of Point Douglas – helped us find the best ways to support families in signing-up for the CLB. We worked with families to understand the barriers they face to CLB sign-up and success for their children rather than assuming that they didn’t know about or value these things. We worked with residents and community leaders to do what they felt was needed to support families and children rather than assuming that we knew best. We sought to understand and support the whole community beyond the CLB program rather than believing that a single program would have community-wide impact. When we work with the Child-Centred Model as our guide, we are able to support positive change for children, parents, families, and the community. Why did we focus on the Canada Learning Bond? The Canada Learning Bond (CLB) is part of something much more important than money. Through working with local residents, we found that one of the biggest barriers to educational success is that children and families lose hope that attending university or college is attainable and realistic. The barriers they face are overwhelming, and over time they degrade the hope they have for the future. We also heard that enrolling for the CLB program is an important first step to seeing educational success as a real possibility. Families with fewer resources often lower their goals for their children over time as the cost of higher education is a huge burden and puts these dreams out of reach. Strong supports and messages of hope are needed to help children and families believe that educational success is possible. As parent’s expectations increase, children’s college-bound identity increases as well (Elliott, Chowa & Loke, 2011). The CLB does not provide a wholistic solution on its own, it is part of supporting these expectations and is an important first step in understanding the barriers families and children face in achieving educational success. This work is part of reducing educational inequity – work that has been called for by the Truth and Reconciliation Commission of Canada. What creates barriers to Canada Learning Bond sign-up? Meeting immediate basic needs takes priority over all else. Worse still, signing up for the CLB takes appointments, arrangements for transportation and childcare, and access to identification, which takes time and resources that many families cannot spare. Many low-income families need to move often, and the CLB application is more challenging for these families. Important documents can get lost and families may lose contact. The writing and reading levels needed throughout the CLB process are a huge barrier. Caregivers may be too embarrassed to ask for help or become overwhelmed by the steps they must follow. The relationship between families in Point Douglas and institutions is broken. Families are more reluctant to share their personal information or believe the promises made by staff. 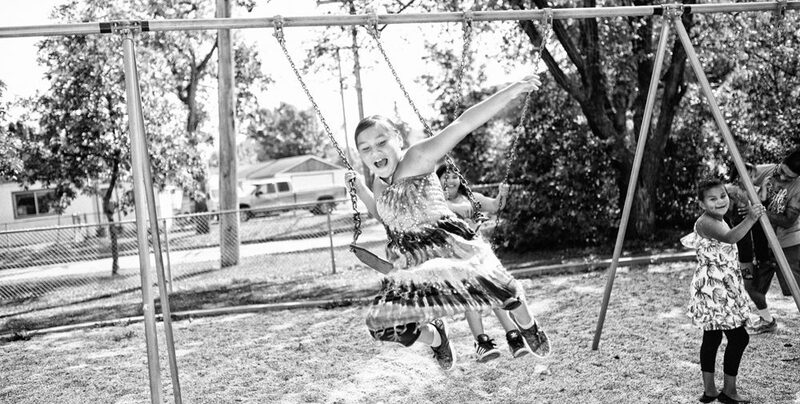 People in poverty have fewer opportunities to learn about programs like the CLB. As well, a fear of judgment for using assistance programs like these can keep people from seeking support. Many families in Point Douglas experience poverty across generations, which includes intergenerational trauma through systemic racism, addictions, and abuse. We hosted a Social Innovation learning session to choose a focus for our Proofs of Possibilities (POPs). The CLB was one of five POPs chosen for initial development. We hosted a co-creation session with community leaders to develop a Supported Enrollment Strategy. We hosted a learning event for the community, providing training in CLBs, RESPs, and how education savings helps support families’ hopes for their children. A video with stories and experiences from community members. We hosted a co-creation session in the community to identify how to support every child in achieving educational success. We signed an agreement with Metis Child, Family and Community Services in 2015 to support CLB enrollment for children in care. Already, 32 children in care now have RESPs, CLBs, birth certificates, and SINs. We have been working with financial institutions since 2015 to reduce barriers for families accessing financial services. The Manitoba Financial Empowerment Network is working to help financially vulnerable community members. The Winnipeg Promise Initiative is working to make post-secondary education accessible for children from modest-income families. The National Indigenous CLB Initiative is working to improve education for the next generation of Indigenous children. As long as today’s systemic barriers exist, here are the best ways to support children in achieving educational success. Flexible resources helped families cover their immediate needs so that they could focus on planning for the long-term. A flexible support budget is critical to enable families to sign-up for a CLB. CLB sign-up was most successful when individual supports were provided by a trusted community organization. Support staff need to be able to be flexible in meeting families’ unique needs and to reach socially isolated families. Community support staff may not know how to get a CLB themselves. Providing support and training for staff helps them answer questions and support families, taking away a main source of frustration for families. The need for identification is a big systemic barrier. Some families refused to participate because of their past experiences with identification. The costs and time required are simply too much. Though there are some financial supports, they require families to go through yet another lengthy process. 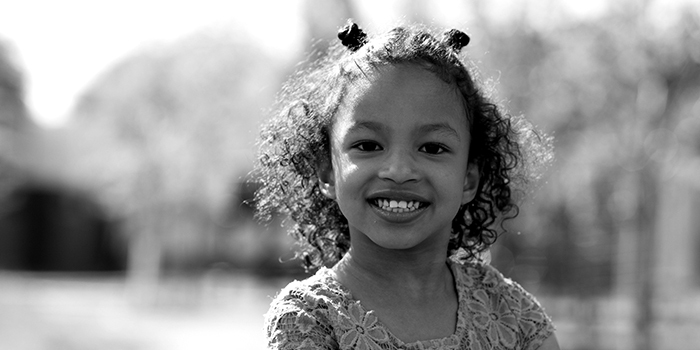 The CLB is only one part of supporting families’ hopes for their children. Supporting community champions in all sectors, celebrations for kids’ milestones in their educational journeys, and ways to make post-secondary education more affordable are all needed. Remove all barriers for families to get grants and savings incentives. For example, basic needs, crises, and literacy requirements block families from getting these resources. Remove all barriers for families to get the identification that they need. Social Insurance Numbers and birth certificates have benefits for families far beyond education, but even small fees and forms can be overwhelming. Provide more supports and funding for education for families in Winnipeg’s North End. Programs like the CLB and RESP are not enough to cover the high cost of education after high school. Students who face barriers to education often also need diverse resources to help them get through school, in addition to financial supports, such as help with child care, tutoring, and transportation. Support school-bound identity for all children in Point Douglas; Help them believe that education after high school is an option. Building relationships between schools and students, providing greater financial supports, demonstrating possible career paths, and supporting families’ hopes are all starting points for this important work. Building Bridges To Further Education. Every child will have the opportunity to discover their gifts, develop their skills, and build self-esteem. Identifying barriers to participation: Working with families to understand what keeps them from participating in arts and culture events. Providing for families’ unique needs: Providing childcare, transportation, and planning supports to help the most vulnerable families participate. 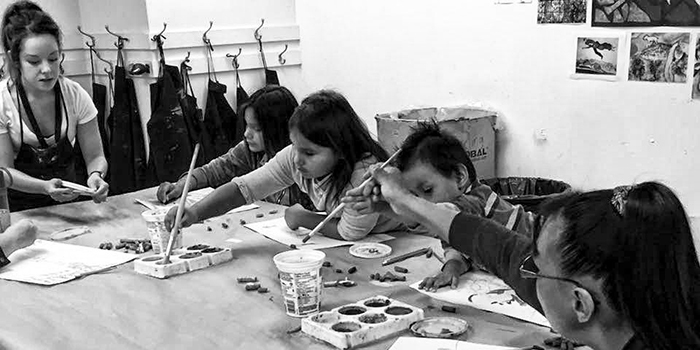 Making spaces inclusive: Working with arts organizations to build environments that are warm and welcoming to both Indigenous and non-Indigenous families. Changing perceptions: Inviting families in Point Douglas to events and working with arts organizations to show that these events are for them. The Child-Centred Model – a way of working for positive change developed by the community of Point Douglas – helped us find the best ways to support families in accessing arts-based opportunities. 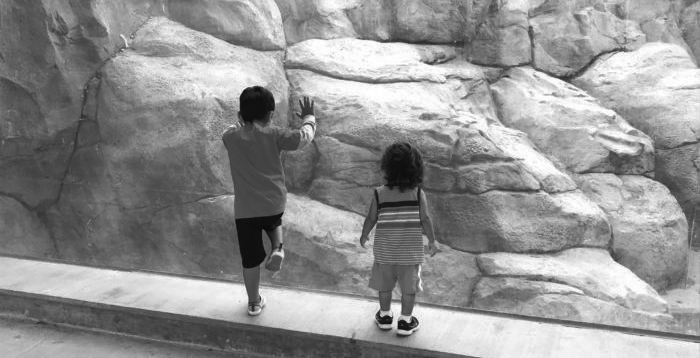 We worked to provide supports for recreation, self-care, and curiosity rather than focusing solely on basic needs. We worked to provide the option to choose to participate rather than pressuring families to participate or shaming them for not participating. We worked to created spaces that were welcoming to families from Point Douglas rather than assuming that they would participate simply if costs were covered. Why did we focus on arts-based activities? When children and families have challenges such as lack of food, shelter, or clothing, it is easy to see arts and creativity as less important. However, the development of a wholistic sense of self includes emotional, mental, and spiritual supports, as well as physical ones. Arts and creativity are not frills, they are necessary to supporting healthy child development. New and different experiences help children grow their sense of what is possible – discovering new skills, interests, and passions. Arts-based activities also give families time together for rest, bonding, and self-care. Participating in these types of activities leads to improved outcomes such as employment and success in school. Improving education attainment levels and success rates is action that has been called for by the Truth and Reconciliation Commission of Canada. Arts and cultural activities are opportunities that many families in Point Douglas do not have, so we worked with families to understand how we could make these activities more available to them and their children. What creates barriers to accessing arts-based activities? These events can create a feeling of exclusion, and that they are not for low-income or Indigenous families. Families worry that they will face discrimination or that they will be judged for how they dress and act. Many families do not have access to reliable transportation particularly if they are coming from remote areas, making it difficult to attend these events. Families are focused on meeting their basic needs first. They may not have the time or energy to plan to attend these events. These types of events usually cost money, creating a large barrier for families who struggle to meet their basic needs. When events are suitable only for certain ages, families must choose between bringing a younger child along or finding child care and excluding the child from the event. Families in Point Douglas strongly prefer events that welcome the whole family, but many events are not designed that way. Prairie Theatre Exchange hosted six families at the Mission: Munschpossible show. Families were treated to kid-friendly presentations and a backstage tour. Royal MTC hosted nine families at Billy Elliot: the Musical, and six families for the play Sarah Ballenden. Families were treated to a backstage tour during Billy Elliot and on-site childcare during Sarah Ballenden. 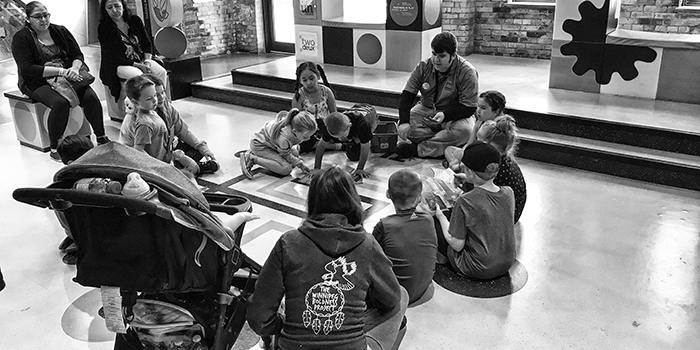 The Children’s Museum hosted seven families at a special treasure hunt along with free time in the museum. The Winnipeg Symphony Orchestra hosted seven families at a performance of music from the film E.T., followed by an “instrument petting zoo” for families. The Royal Winnipeg Ballet hosted seven families at their performance of Peter Pan. The Winnipeg Zoo partnered with community agencies to host eight families at a barbeque and self-guided tour through the zoo. The Winnipeg Art Gallery hosted six families for a tour of the gallery and an art class. FortWhyte Alive hosted six families for outdoor activities such as a scavenger hunt, dip-netting, and a special presentation on Canada Geese and their migration. The Canada Games Council hosted four families for two baseball games during the Canada Summer Games. The Manitoba Theatre for Young People hosted three families for a puppetry, drum, song, and shadow theatre performance followed by a craft workshop. As long as today’s systemic barriers exist, there are a number of ways that organizations can work to make arts-based activities more open to families from Point Douglas. Transportation, childcare, attendance costs, and day-to-day challenges all prevent families from participating in arts-based activities. Removing these barriers is needed to make participation possible. Many activities focus on specific age groups, but families in Point Douglas may not participate in activities that do not welcome all of them. Include families of all types and provide opportunities for bonding and self-care for all family members. Doing activities together also gives families the opportunity to discover each other’s skills and potential. Many families from Point Douglas feel that they are not wanted in arts-based institutions. Friendly staff who are welcoming, are able to respond to families’ unique needs, and make special accommodations go a long way to helping families consider similar events in the future. Making an extra effort for these families makes them feel that they belong. While many arts-based activities are designed for passive viewers, families most enjoyed the opportunities they had to get hands-on in these trips. Interactive experiences such as workshops and backstage tours give children more opportunities for self-discovery and for bonding within and between families. Through this work we found that there are larger barriers that affect families and community members. Create spaces and places that welcome both Indigenous and non-Indigenous families from all walks of life. Many arts-based institutions are made to feel exclusive and elite. Whether this is intentional or non-intentional, if we hope to include Indigenous and marginalized families, we need to shift our attitudes towards inclusion. We need to create spaces where families can feel comfortable and like they belong. Fund organizations that are inclusive. It takes a special effort to include families from communities such as Point Douglas. We need funding structures that make it mandatory for arts-based organizations to include these families and provide the resources to make this possible. Support participation by meeting basic needs. It is hard for families to focus on these important experiences when their basic needs aren’t met. We need to help families meet their basic needs so that they can support all aspects of their childrens’ development. Most supports that do exist for families from Point Douglas focus on their physical needs. While these supports are important, children and families also need supports for their emotional, mental, and spiritual wellbeing. Providing Inclusive Opportunities For Skill Building. Every woman will be able to choose culturally-safe supports before, during, and after pregnancy. We set out to understand what gaps in support exist for pregnant women in Point Douglas, as well as the barriers to accessing supports that are currently available. Indigenous doulas (people who provide support in the non-medical parts of birth and labour) are a promising culturally-appropriate support. Working with the Manitoba Indigenous Doula Initiative (MIDI), traditional knowledge keepers, and community health agencies we focused on three activities to support the training of and use of Indigenous doulas. Curriculum Development: Working with traditional knowledge keepers to develop a training process based in Indigenous perspectives and ceremonies. Build Community Capacity: Building knowledge of the supports that doulas can provide. Supports for Doulas and Families: Working with doulas and families to learn from their experiences and understand the supports that are needed. The Child-Centred Model – a way of working for positive change developed by the community of Point Douglas – helped us find the best ways to help families get the support of an Indigenous doula. We worked to support pregnancy care approaches that were based on community wisdom rather than using approaches that work in other places. We worked to provide wholistic and flexible supports for families rather than being restrictive about the supports they could choose. Learn more about the Child-Centred Model and read the full report here. Indigenous mothers have higher occurrences of negative pregnancy outcomes than non-Indigenous mothers, such as infant mortality and negative or sometimes even traumatic birth experiences. When mothers experience extreme poverty, exposure to trauma, or stressful conditions surrounding birth, the relationship between mother and child can be harmed. Toxic stress during pregnancy can also affect a child’s healthy development, including disease, learning, and behaviour. Indigenous doulas provide a way to support a healthy pregnancy on a mother’s own terms. Not only do doulas provide emotional support during pregnancy, they also act as both advocates and supports before and after pregnancy. They support mothers in making their own healthy choices about their pregnancy, help mothers advocate for culturally appropriate care, and provide supports as directed by the family. Indigenous doulas provide a wholistic approach to pre and post pregnancy care. Providing supports like Indigenous doulas is an important step in fixing the healthcare inequities that Indigenous communities face. Not only have doulas been shown to have positive impacts on pregnancies, particularly for minority group families, supporting self-determination and culturally appropriate health care is action that has been called for by the Truth and Reconciliation Commission of Canada. What creates barriers to culturally-safe pregnancy care? Many families cannot afford the costs required to get care supports beyond what is provided by the health care system. Many families may not have access to reliable transportation, making it difficult to attend appointments and meetings that are not nearby their homes. When women experience the healthcare system as one that is paternalistic, discriminatory, and difficult to navigate, it is difficult for them to feel able to make choices for the kinds of supports that they need. Many women in our community consultations recalled hospital birthing experiences that were traumatizing and violating. Many families do not have the resources or supports needed to care for their other children while they attend appointments, meaning that pregnancy supports are often not an option. Families may not be aware of the pregnancy supports available to them or their benefits. Our existing care systems train specialists for many aspects of care. However, many important components of care (e.g., emotional support) are not addressed by these professions. As well, treating care as an occupation means that when the care provider’s job is done, a family is left without support and becomes more reluctant to seek support in the future. The Manitoba Indigenous Doula Initiative (MIDI) conducted conversations with Indigenous Grandmothers and other members of the community between 2013 and 2016. Winnipeg Boldness and MIDI released an open call for applications to take the training. Twelve applicants were selected for the training. Winnipeg Boldness and MIDI hosted a meet & greet event for families. Doulas were paired with 30 families to provide care during a practicum period. The graduation ceremony for the trainees was held on June 14, 2017. MIDI is participating in a research project with the University of Winnipeg and the First Nations Health and Social Secretariat to explore the impacts of this model on birth outcomes for First Nations women who travel for birth. Trainees who participated in the program highly valued the community of support and learning that they were a part of. This was a key reason for their confidence as doulas. It takes time to build supportive, trusting relationships with families. Having a coordinator who can maintain connections with families over longer periods of time and who can clarify the role of the doula would help ensure that families and doulas feel supported through the process. The core of this program is indigenous wisdom. Connections to elders and traditional ceremonies are needed to ensure that supports for families and children are culturally appropriate and respectful. Across the community there are many varied understandings of the supports available to families during and after pregnancy, and the role of doulas is not well understood. More awareness is needed for families to draw upon these types of supports. “If felt I had more support for sure. Ensure that funding structures support wholistic, traditional approaches. Existing structures often claim ownership of the outputs, which is not appropriate when Indigenous wisdom is involved. Providing flexibility in funding agreements is needed to support new approaches and Indigenous self-determination. Treat birth as a celebration, not as a crisis event. Our existing healthcare systems focus on specific, physical issues rather than wholistic supports. Ensuring that families have the social, spiritual, emotional, and physical supports they need is critical. Provide wholistic supports to mothers. The Indigenous doula role is a lifelong role in the community, not just a contract. These supports are needed to help mothers make their best decisions throughout their child’s life and to navigate the healthcare system as their children grow. Provide connections to Indigenous knowledge keepers. Many existing funding structures and approaches to care exclude Indigenous healing ceremonies, treating them as ‘religious’ in nature. Access to ceremonies, elders, and Indigenous wisdom is needed in all types of health care for Indigenous people. Pre And Post Pregnancy Care.